Marijuana is not only meant for the “pot smoking” artists, stoners, and teenagers. If you often experience chronic pain, be it your joints, osteoarthritis, back or from a physical injury, you will probably be intrigued by the fact that marijuana can be used to relieve chronic pain. Surprisingly, marijuana has not come out to the mainstream media and openly accepted by providers and patients alike. If you have been thinking about using cannabis products for chronic pain relief, you have come to the right place. 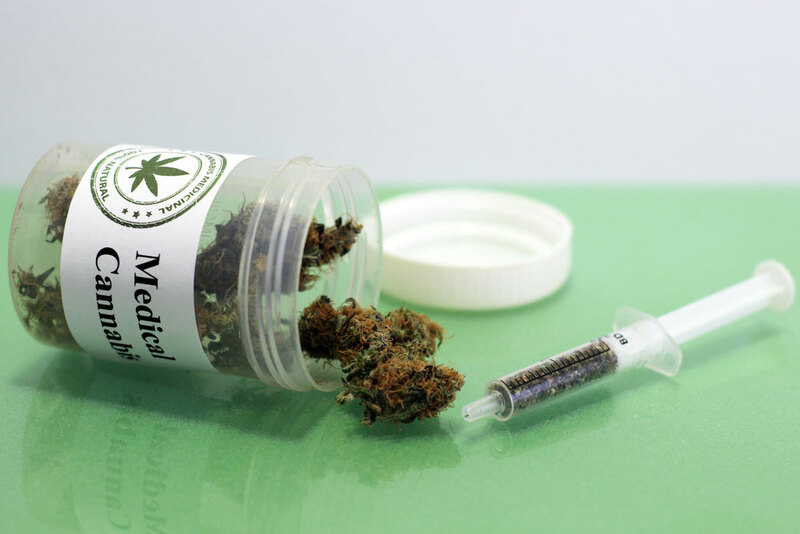 In this piece, we shall look into how marijuana works for chronic pain, the advantages and disadvantages of taking it for chronic pain treatment, and whether or not is a legal and viable option for your state. Marijuana is popularly known as “weed”, “cannabis”, “pot” or if you were born in the early 70s, you can refer to it as “grass”. Marijuana often describes the dried cannabis leaves and flowers that are usually smoked and cannabinoids like CBD and THC are the chemical compounds present in the cannabis flowers and which are responsible for relieving symptoms. And for the last few years, cannabis products have become more acceptable by many as a treatment for pain (neuropathic, somatic, visceral), muscle spasms, arthritis, stress, and other conditions like PTSD and cancer. Gone are the days when the use of cannabis products was associated with smoking at a joint, ordering a large pizza to kill the hunger pangs, and watching “stoner” tricks. For a majority of clinicians and patients, marijuana is gradually turning out to be an accepted part of any multimodal pain management strategy. Simply stated, marijuana and other cannabis products are medicine. Why Marijuana For Chronic Pain Treatment? Cannabinoids are active, chemical compounds present in the cannabis flowers and which possess medicinal properties. More often than not, these compounds are usually used in the treatment of symptoms like nausea, inflammation, and pain. And when they are ingested, the compounds interact with various receptors in the human body. Cannabis is known to have more than one hundred various types of cannabinoids, with THC and CBD being the most popularly known ones. Some of the compounds have been proven to be invaluable when it comes to pain relief. The compounds THC, CBN, CBC, and CBD are all present in marijuana and have been associated with arthritis relief, pain relief, as well as help with inflammation, spinal injury, fibromyalgia, and much more. How Are Cannabis Products Administered? Like many other compounds, people tend to react differently to cannabis products, and particularly marijuana. Besides, there are numerous factors that influence how an individual responds to marijuana. These variables could include the marijuana strain, the tolerance level, the condition you’re trying to alleviate as well as the method of administration. Here are different methods through which cannabis products can be administered for chronic pain relief. – Smoking: Dried cannabis leaves and flowers are rolled into a joint or placed into a pipe. As you continue inhaling, you will almost immediately start feeling the relief. While smoking is harmful to the lungs, it is an excellent option since it makes it easy to control the amount you are ingesting. – Vaping: While still using dried cannabis leaves and flowers which are smoked for immediate relief, a vaporizer has fewer health hazards as compared to smoking. While vaporizers could be expensive to buy, they make for an excellent option for the regular cannabis users. – Edibles: Baked goods, lollipops, medicated gummies, and cookies can be a good administration method for people who are not into smoking. Edibles typically provide longer-lasting relief, take more time to kick in, and can give you more of the “body high” you are looking for. On the contrary, getting the dose right can be quite difficult since it is not easy to tell the amount of medicine you are taking in. It is advisable that you always take small portions at a time. – Topicals: Topicals are typically applied to an area for localized chronic pain relief. They are known to treat arthritis, spasms, and muscle soreness. Topicals like lotions or creams won’t give you the feelings of euphoria, relaxation, stress relief, and “high” which is normally associated with the use of marijuana. Cannabis products present an all-natural way of treating pain as well as managing the symptoms of chronic pain such as inflammation, muscle spans, and side effects of different medications like a lack of appetite or nausea. In most cases, marijuana is typically used as part or as a multimodal pain management plan. Here are the benefits of using cannabis products for chronic pain relief. Cannabis flower, particularly when vaped or smoked, is not a product of chemical processes. This makes it 100% natural which is contrary to prescription plan medications or over-the-counter medicines which could bear chemical properties that are unhealthy for long-term use. In simple terms, it is difficult to overdose on marijuana. In fact, there has never been any recorded deaths from the use of cannabis. However, this does not imply that cannabis products cannot be dangerous when administered in excess, but contrary to opioid pain medication, one can’t die because of an accidental overdose. Cannabis products could also be safely combined with other pain treatments and medications. In the North America, there’s an opioid epidemic. And when compared to narcotic and opioid pain medication, marijuana is far less addictive. Despite the fact that heavy users could develop great dependency with cannabis products, experience cravings, and unending withdrawal symptoms, it is way milder than opioid withdrawal. And when compared to narcotic pain medication, cannabis addiction, as well as withdrawal symptoms, are a minor concern. Cannabis products for pain relief are legal in close to 30 states, plus Puerto Rico, Guam, and District of Columbia. Some states also have laws which limit THC content but permit patients to use cannabis products The Southern Institute | CBD Oil Credit Card Processing with CBD and which do not contain any of the psychoactive compounds of cannabis. Cannabis laws are different from one state to the other so be sure to confirm the status of cannabis use in your state.